Instagram has over 600 million users and has the highest engagement ratings amongst all other social media. 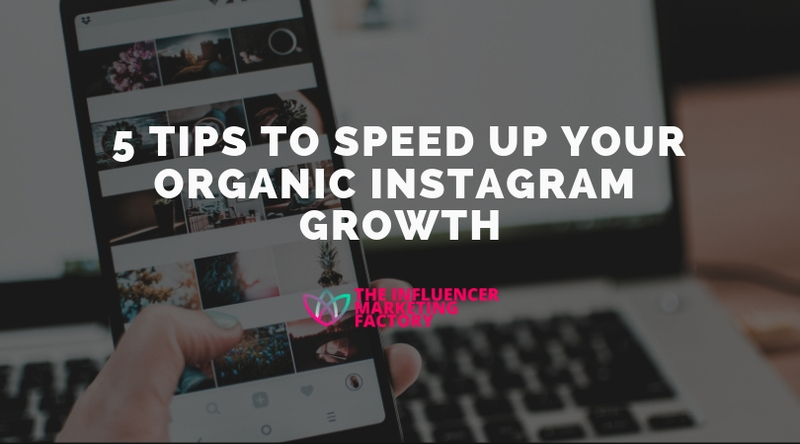 Instagram growth is a perfect way to advertise your business and boost your blog. Think also that “more than 40 Billion photos have been uploaded to Instagram so far.” and that “200 million Instagrammers actively visit the profile of a business every day” as stated on this post. The difficult part is getting the attention of other people. This tip can be a little terrifying, posting pictures of yourself. The truth is though, your followers shouldn’t have to scroll through pages and pages of photos before they see the person who’s running the page. You should make an appearance about every nine or ten photos. This doesn’t mean take a bunch of selfies, instead, post a picture of you performing your niche. If your Instagram is about delicious meals that you prepare, post pictures of you cooking for example. Wouldn’t this work better than just take the picture of the meal itself? Try to avoid stock photos and make them emotional and about you, your interests, your travels, your daily routine. Your followers want to know more about what do you do in your life and they follow you for that reason, not for fake stock contents. Hashtags originally started on Twitter and they were used in time on other social media channels like Instagram. You have branded hashtags and community hashtags to work with. Branded ones can be used to find user-generated content. Community ones are just general hashtags that everyone uses. You need a good mixture of both to be successful. You can check my article on how to create an effective Instagram hashtag strategy. Just, make sure that you are using relevant hashtags. It’s important to post a few times a day. Like most things its quality over quantity, however. Only post your best stuff. Content is the heart of your business so if you aren’t posting and they aren’t quality photos, you won’t get anywhere. But don’t even post too many times a day. My suggestion is to upload 2-3 max photos a day and with a minimum of 6 hours between them. Do not over post during the day. Give to Instagram the time to understand if your post has performed well and if it has to be shown to a greater percentage of your followers. If you post several times in the same span of time, Instagram won’t be able to identify the best photo of yours and for that reason your future pictures will be shown to less people and this will bring you to a negative loop. Make sure all of your content is true to your brand as well. We’ll get a little more into that later on. There is a neat thing you can use called Instagram Analytics if you are using a business account. It lets you know which one of your photos are getting the most attention and at what time your followers like or comment on them. By knowing what your followers favorite content is, and what posting times are popular with them, it helps you know what and when to post. This can give you a huge business advantage. You should always post content that your audience is following you for. If you are a fashion designer and post pictures of your dog, don’t be surprised if you lose followers who are following you for your fashion photos. Moreover, remember also to stick to a color palette, a style and an aesthetic. Don’t use different filters and color corrections all the time, try to use the same color settings on all your photos in order to give continuity to your storytelling. Health & Fitness: People always want to know tips and tricks and hacks on staying healthy. Beauty: Makeup artists, hairstylists and beauty experts are making a lot of money reviewing products and sharing tips with their followers. Travel: Isn’t the dream of everyone to travel for a living? Share your experience with your followers and get paid by sponsors to get featured in your photos and vlogs. Business: Instagram can become a great acquisition channel to target new leads and potentials businesses. It’s free, use it! Better if you create a second account for your personal photos and keep it separate from your business one.